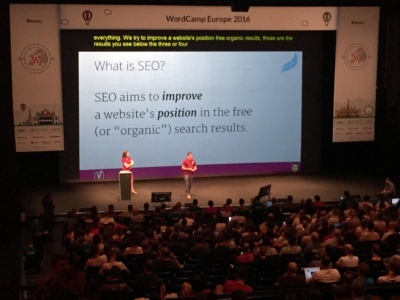 This past weekend Primary Image flew out to Vienna, Austria, to attend WordCamp Europe 2016. 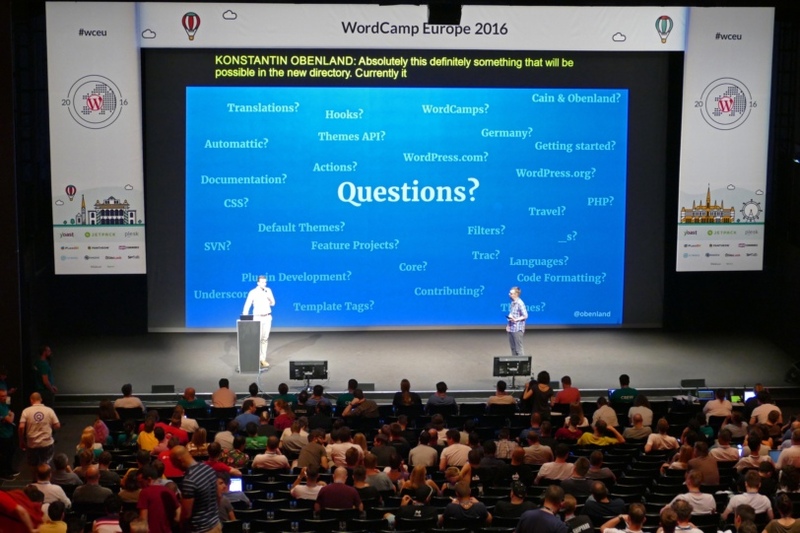 WordCamps are events that cover everything to do with WordPress (the website software we use here at Primary Image for all our customers and, indeed, it’s powering this website you’re currently reading!). And if you didn’t know, WordPress is the most popular choice of website software in the world, powering about 25% of the entire web. Whilst we’ve attended (and given talks!) 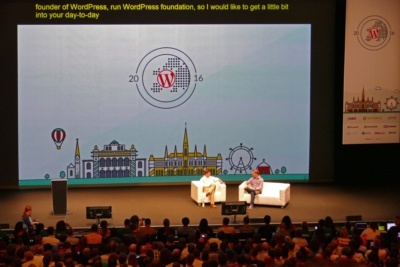 at previous WordCamps, this one was the largest ever gathering of WordPress people in the world, with over 2,000 attendees, plus it was live streamed to a similar-sized audience online. 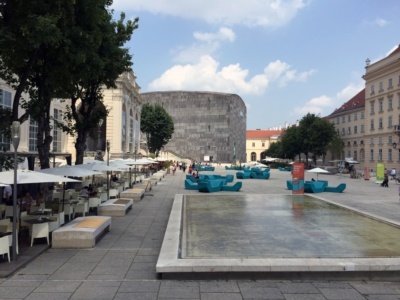 WordCamp Europe 2016 was held in the stunning venue of the MuseumsQuartier in Vienna. The large square outside also provided a great area to continue networking and chatting well into the evening! The event ran over two days and mostly consisted of 30 minute talks, with three parallel streams running, so there was plenty of variety in the sessions to choose from. 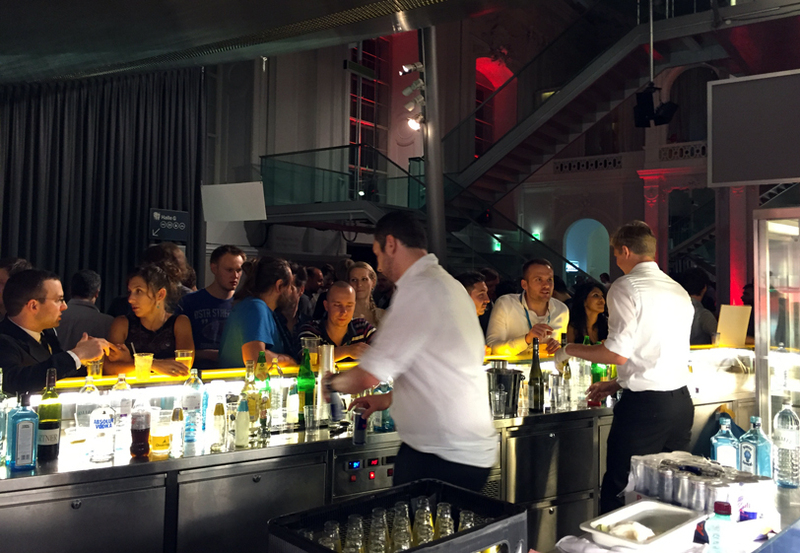 We can’t forget the after-party too, held on the Saturday night, which was brilliantly organised! 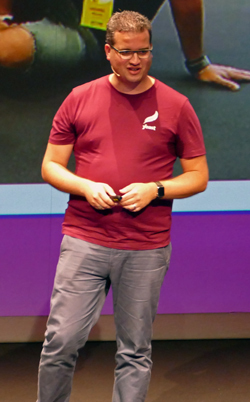 It was great to hear from Joost de Valk, a leading authority on SEO (Search Engine Optimisation), and the founder of the industry-leading SEO module that we use on many of our own customers’ websites. Technical excellence – so that’s things like the placement of words, use of meta tags, etc. Flawless security – because a hack will ruin your SEO and reputation. Good user experience – so ensuring your visitors can quickly understand how to use your website and find the content they need. Mobile-friendly design – which is absolutely essential to help your visitors and your SEO. Awesome PR and social marketing – don’t just think people will come to your website automatically – it requires some marketing too! And, of course, quality content, because substance is important. Why does the quality of your content matter? In the past, people could write low-quality content, stuff it full of keywords and their webpages could rank well in search engine results. However, that’s not true any more. Google has become very sophisticated in understanding what you’re saying and knows if you’re writing spammy content. If Google consistently sees poor or duplicate content, you risk being penalised and ranking lower. We also far too often see websites that have poor grammar, typos, or not adding spaces between words or sentences. This simply looks unprofessional and reduces trust with your business. Also, if website content is hard to read (for example very long paragraphs of text), or if it isn’t useful to visitors, how can you expect them to take any interest in what you have to say? Focus on the structure of your text, especially having a clear layout with subheadings. Only include one idea per paragraph. Keep paragraphs short so they’re easier to read. Write short sentences – no longer than 20 words per sentence. Use simple words so that it’s readable for everyone. Keep your audience in mind – avoid jargon. By following these simple tips, you’ll ensure people can understand and trust your message more. So many people struggle to find the time to write blog posts, despite knowing that well written blogs can be enormously beneficial in helping your SEO (Search Engine Optimisation), plus they can be a great way to keep in touch with your client base. We’re certainly no exception ourselves here, having been concentrating solidly on our customers’ projects and we’re aware our own blog has been neglected in recent months! (Although writing this during a quiet moment on the journey home from Austria!). Andrea Badgley reassured us that this is a very common issue and, when day-to-day work demands come calling, it’s very hard to fit in these niceties like blogging. Her suggestion was a strict but minimal-impact schedule of devoting just ten minutes a day to writing your blogs, at the same time each day. She says this will help keep you focused on the task and there’s little excuse for not being able to spare such a short amount of time. She also expressed the importance of jotting down your blog ideas in advance and having an inventory of ideas available. 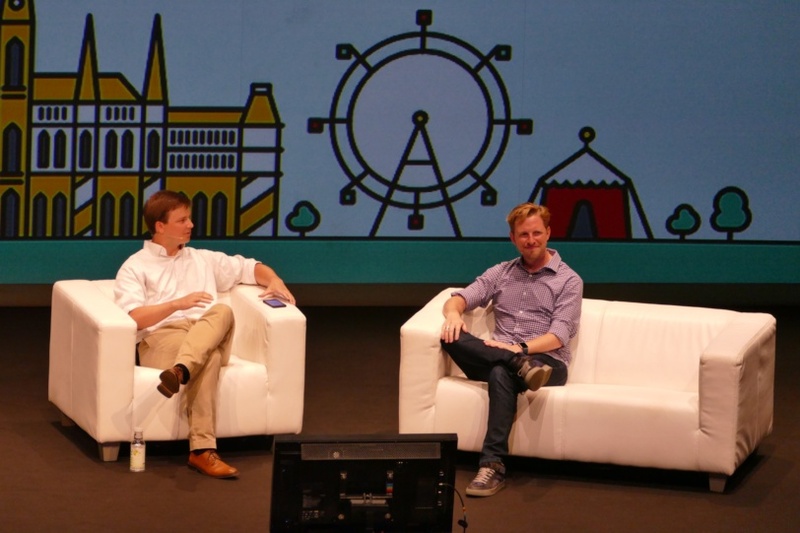 It’s always interesting to hear the thoughts of WordPress co-founder Matt Mullenweg, who was interviewed on stage and, like previous WordCamps, took questions from the audience. Unsurprisingly, he’s very confident about the future of WordPress and expects it to take an even larger market share of the web. One interesting point, from a lady working for Google, was that her analysis shows around 25% of newly launched WordPress websites are not using responsive (mobile-friendly) themes. I do find that figure quite hard to believe, even accounting for users with limited web design knowledge who install themes that aren’t meeting modern standards. Nevertheless, it raises the important point whether there should still be non-responsive, old-fashioned themes in the WordPress theme directory at all. Matt seemed to agree! Well done to the WordCamp Europe 2016 organisers for making this possible. With such a vast number of attendees (2,000+), it’s certainly no easy task to make everything run so smoothly, so what they did was impressive! And if you’re interested in learning more about WordPress, do have a look at WordPress TV where you’ll find recordings from many previous WordCamps. All photographs taken by Primary Image.